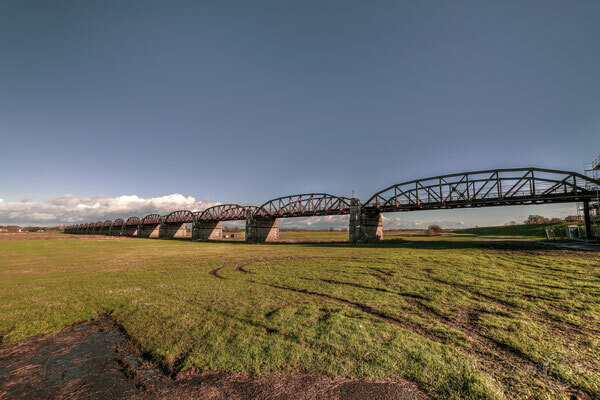 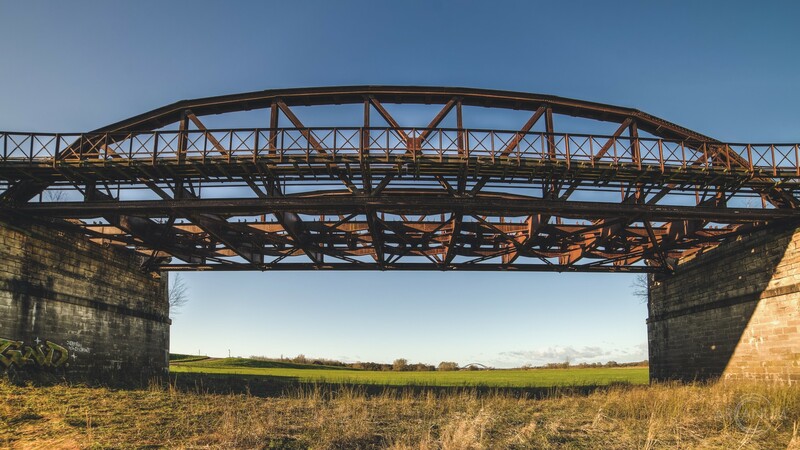 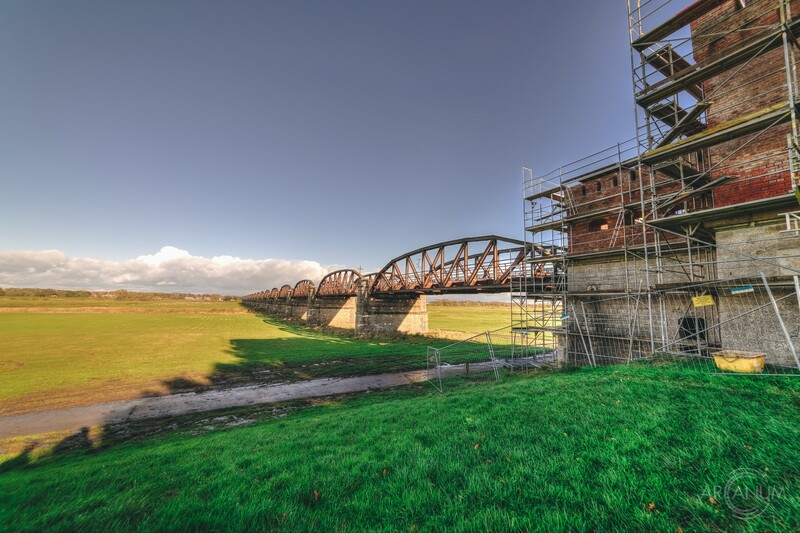 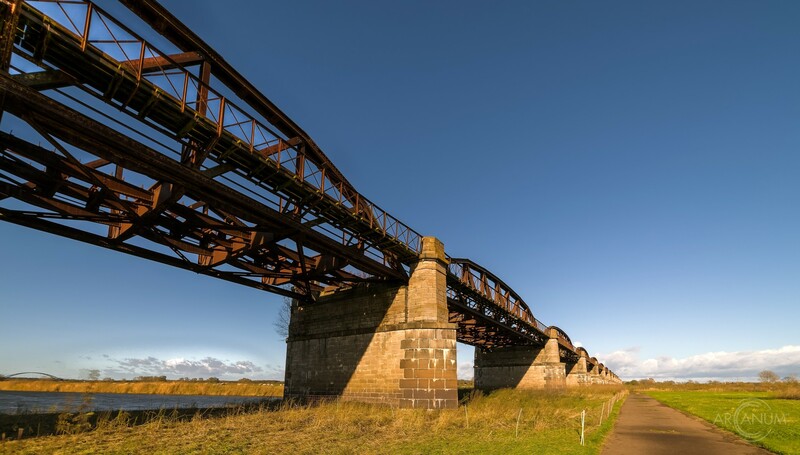 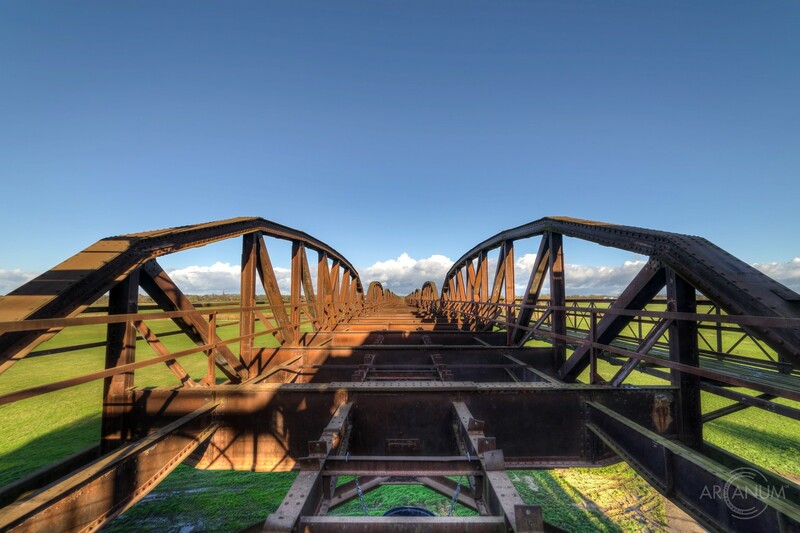 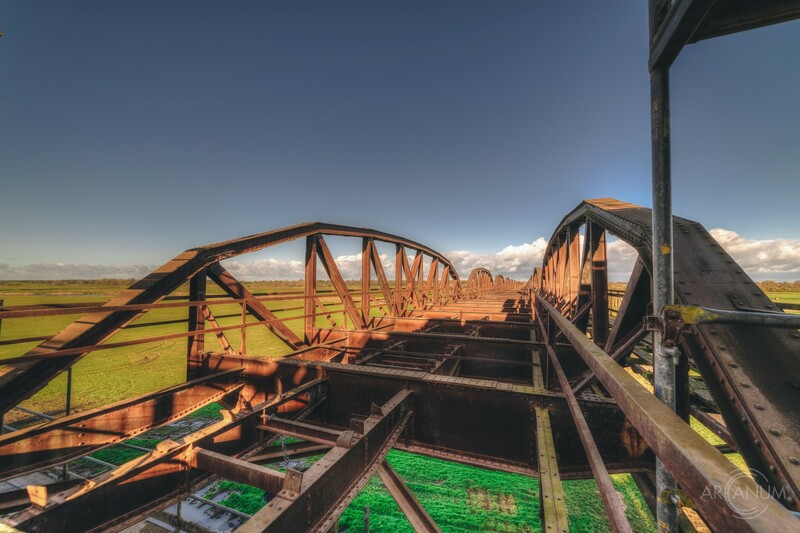 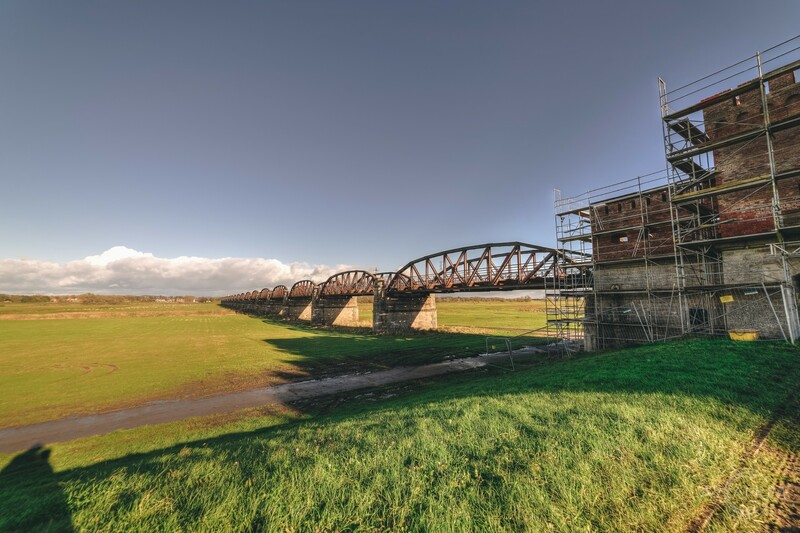 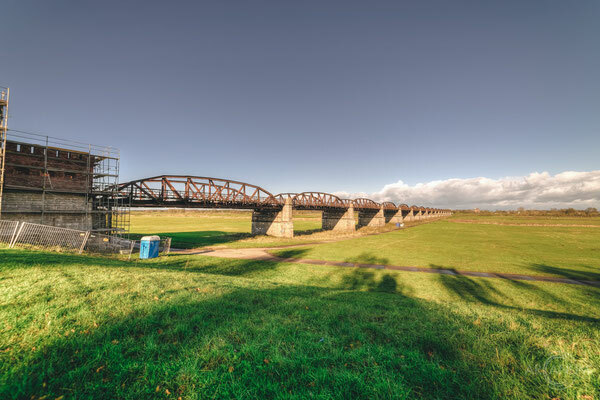 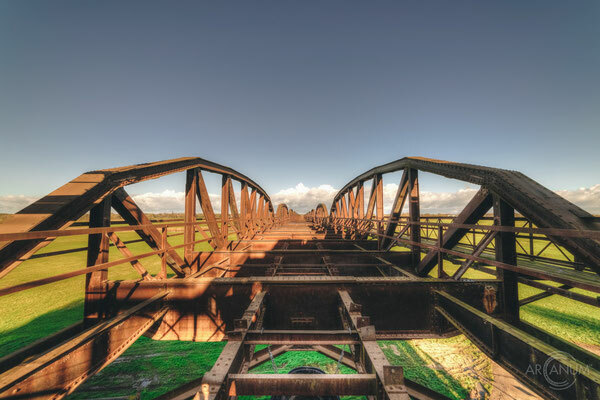 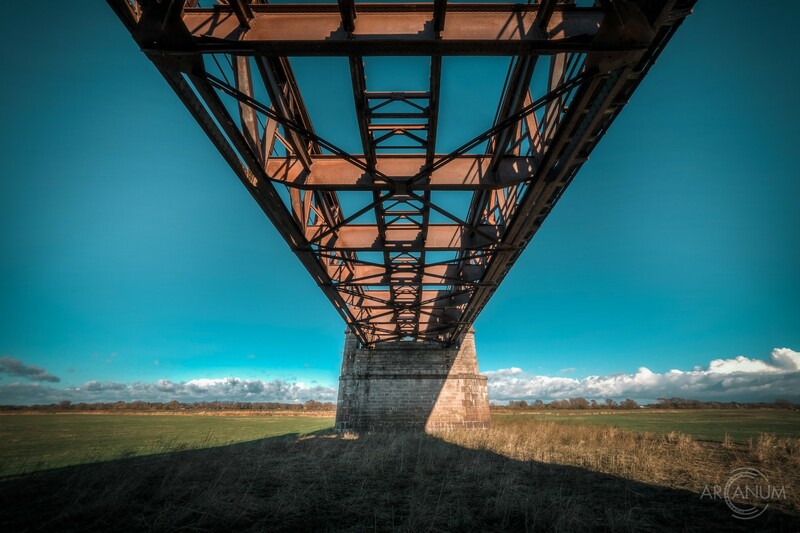 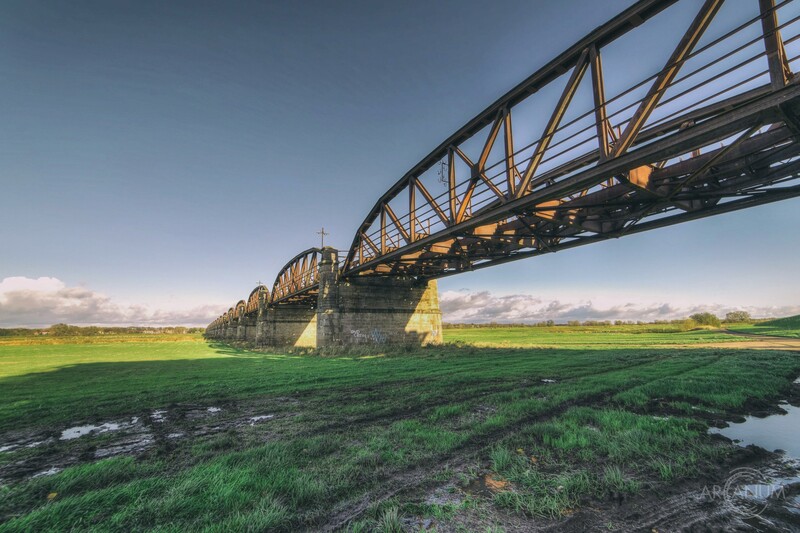 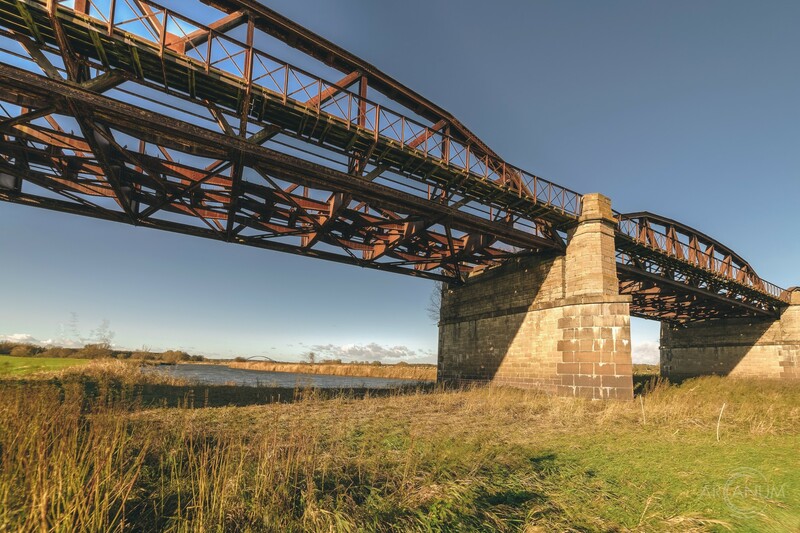 When it was built in the early 1870s, this railway bridge had a length of almost 1.000 meters and with that, it was one of the longest river bridges in Germany. 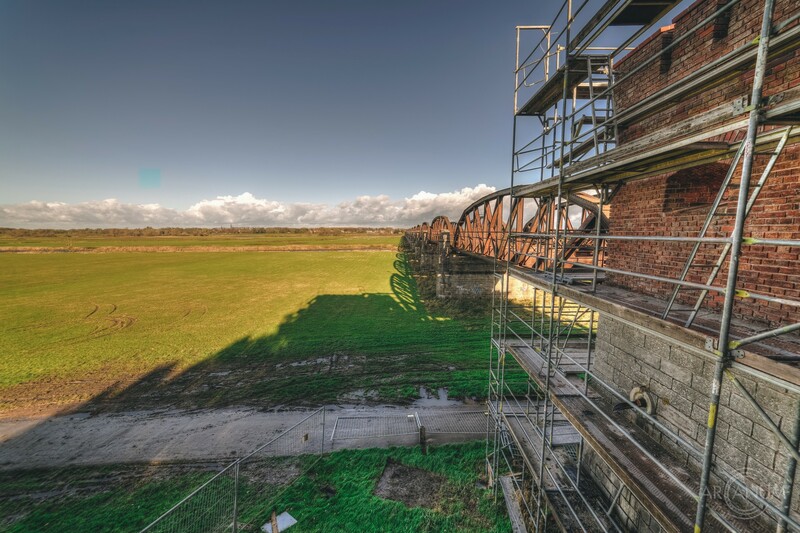 Due to its proximity to a Prussian fortress, the constructors were required by the government to provide adequate protection for the bridge by building fortified bridgehouses at either end of the bridge. After an aerial attack on April 20, 1945, parts of the eastern half of the bridge collapes into the river. Because the structure crossed the border between East and West Germany, it was never reconstructed. In 1978, the remaining bridge piers in the river were demolished for danger of collaps, and in 1988, the rest of the Eastern part of the bridge was demolished. 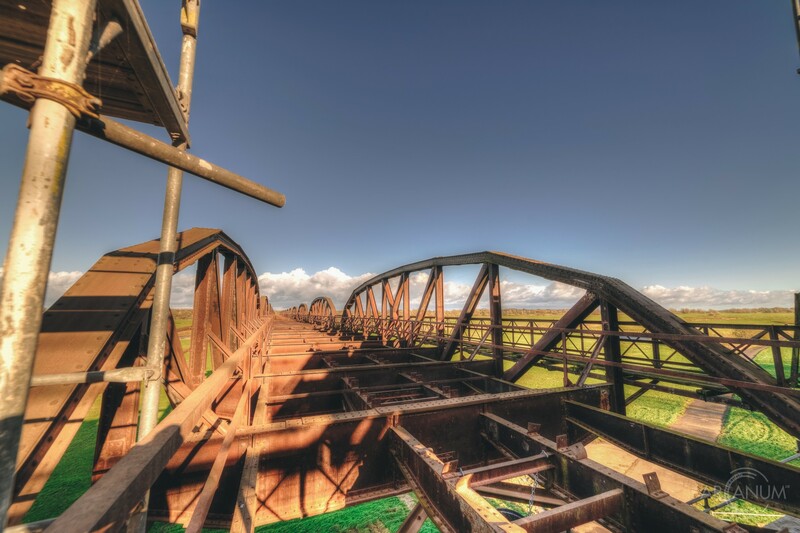 Today only the Western part exists consisting of 16 bridge parts and the bridgehouse.